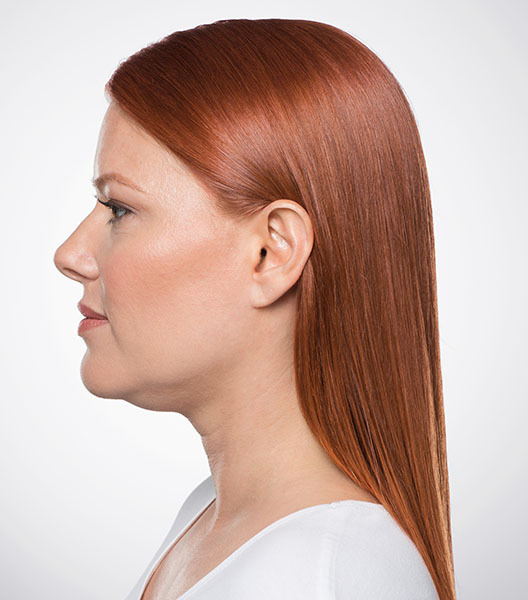 Kybella is the first and only FDA-approved nonsurgical treatment for double chin removal. 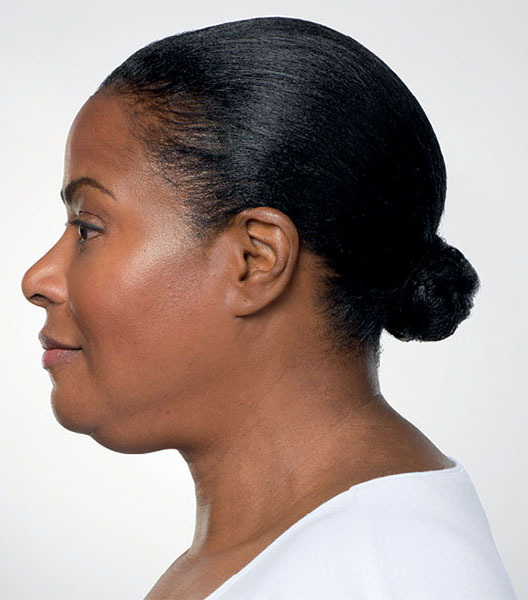 When injected into the fat beneath the chin, Kybella destroys fat cells. Once they are destroyed, these cells cannot store or accumulate fat. 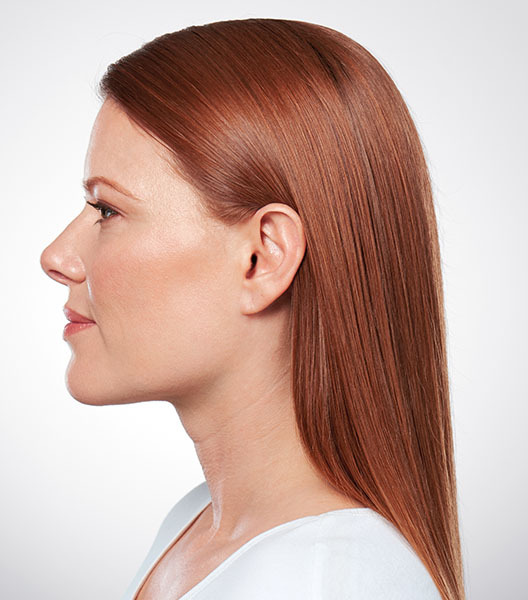 Kybella is administered by injection in our office. The actual treatment takes about 30 minutes. A consultation is required for approval as a good candidate prior to scheduling the procedure. After assessing the treatment area, several tiny injections are administered directly into fat under the chin. It begins to dissolve fat almost immediately by using deoxycholic acid. Deoxycholic acid is a naturally occurring molecule in the body that aids in the absorption and breakdown of dietary fat. The dissolved fat is then processed through your body’s natural metabolism. We apply an anesthetic cream to the area for one hour prior to treatment and an ice pack to comfort the area during treatment. You may should also take 800mg of Ibuprofen one hour prior to treatment. For most patients, downtime occur most commonly after the first treatment session. 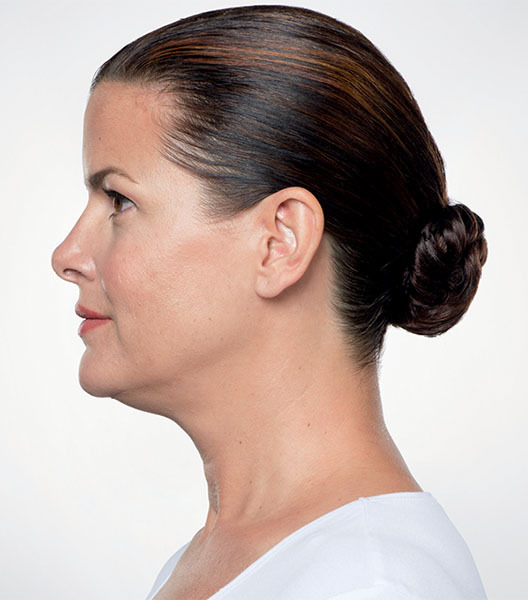 Swelling of the chin area is likely to occur, so limiting strenuous activities immediately after treatment is suggested. We recommend elevating your head and wearing a chin strap with an ice pack for a few nights after treatment to reduce swelling. Patients can experience redness, nodules, bruising and numbness at the injection site after treatment. This usually resolves over 4 to 5 weeks. Some patients have also experienced a tightening of the skin in the area. 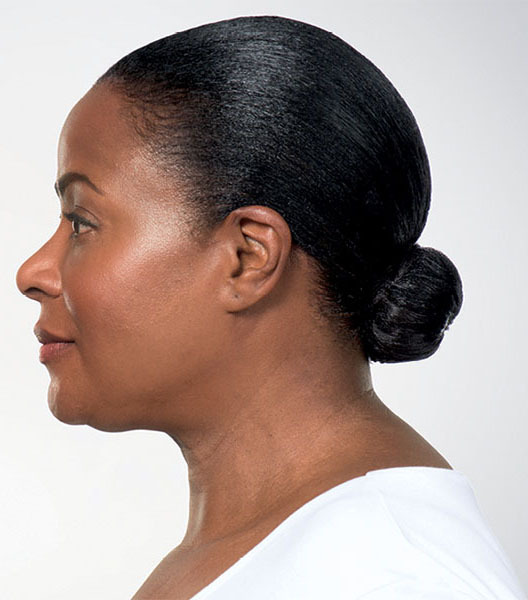 Depending on the amount of fat and improvement desired, most Kybella treatments require 2 to 4 treatment sessions. Permanent results should be noticeable in about 6 weeks. After the desired results are reached, further treatment is not expected. 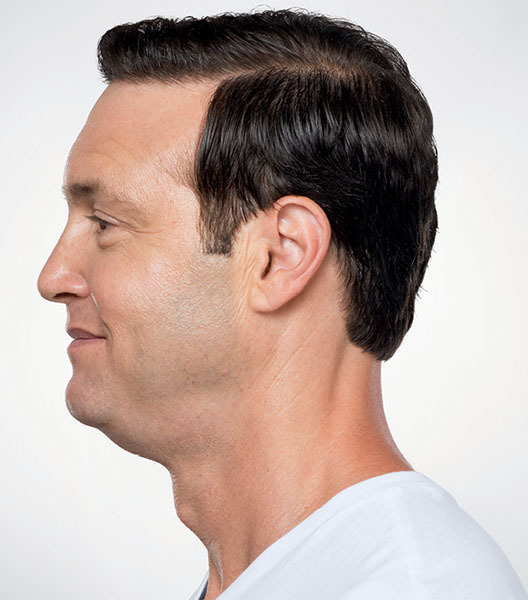 The great thing about Kybella is that there's no downtime procedure. However, after a Kybella treatment, you may notice some bruising, swelling, numbness, and tenderness. This is only temporary, and you can still go about your normal daily activities. We also recommend avoiding strenuous activities in order to prevent unnecessary swelling. This is our favorite part about Kybella. After you have reached your desired goal, the results are permanent. It completely destroys the fat cells!. Depending on the amount of fat and improvement desired, most patients need 2-4 treatment sessions. What if I gain weight after treatment? As with any season of life, weight fluctuations are expected. The fat cells that Kybella treated are permanently gone, but this does not treat future fat cell accumulation..
What about liposuction for double chin? 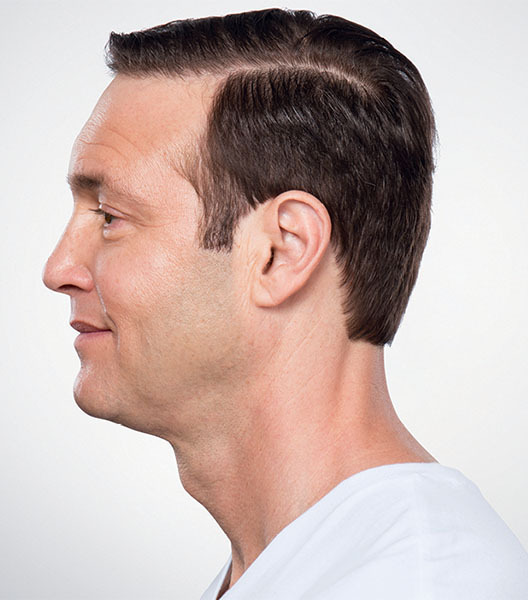 Kybella is a non-surgical injectable option for people who are on the go and do not have time for a more invasive procedure. 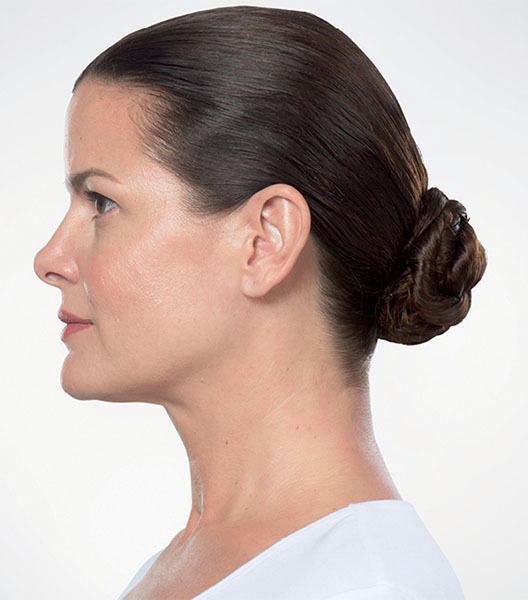 With Kybella you do not have any wound site management. After a liposuction treatment, you usually need about 5 days of inactivity, but with Kybella you could go back to work the same day. The determination between which treatment you need can only be made by a trained professional as it depends on the area of treatment and expected results. The procedure takes about 20-30 minutes. This is a simple procedure, perfect for those people who want a better “selfie!”.